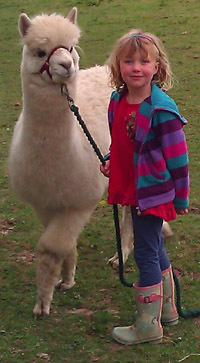 James and Lisa Hartill welcome you to Kit Hill Alpacas, a small family run business based in the beautiful Tamar Valley. We are situated in the shadow of local landmark Kit Hill, and since we started out in 2002 we have built up a herd of thirty Huacaya alpacas, over half of which are now cornish born and bred. Our cornish babies are prizewinners for the quality of their fleece. 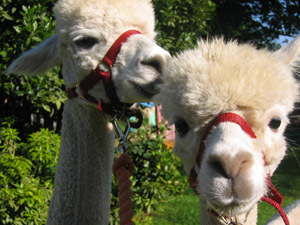 We breed our alpacas for sale to other breeders and for sale as field pets, companion and guardian animals as well as for their fleece which we use to make our unique products. If you are looking for great value stud services, or are thinking of starting out with alpacas either to breed, as field pets or as guardian animals then we can help. We provide a wide range of services from stud males right through to simple husbandry. If you are looking for beautiful and unique alpaca goods then go to our Products page and Online Shop. All our goods are designed and handcrafted by us, using fleece from our own herd.